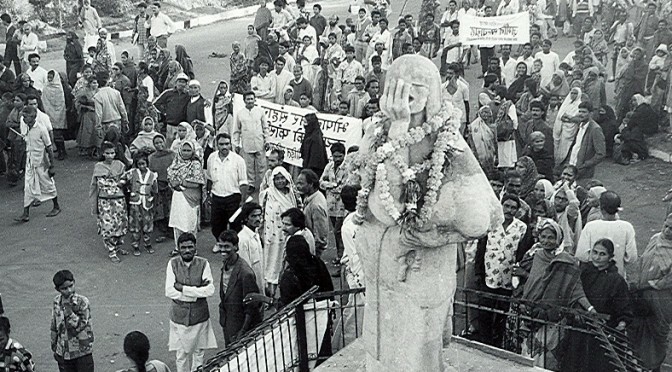 February – March 1989: Public protest against the unjust settlement followed by filing of a number of review and writ petitions against the settlement in the Supreme Court by the Bhopal Gas Peedith Mahila Udyog Sangatan (BGPMUS), the Bhopal Gas Peedith Sangarsh Sahayog Samiti (BGPSSS) and other concerned groups. November 27, 1990: The women’s trade union BGPMSKS, led by Rashida Bee, initiate legal action against their employer, the Government Press and other agencies of the state government in the Administrative Tribunal, Jabalpur. October 1992: The Permanent Peoples Tribunal [PPT] on Industrial Hazards and Human Rights holds its session in Bhopal (PPT was founded in 1979 as the successor to the Bertrand Russell Tribunal on Crimes Against Humanity). Recommends the setting up of an International Medical Commission on Bhopal (IMCB). April 5, 1993: BGPSSS, BGPMUS and BGIA submitted a petition to Shri Narasimha Rao, Prime Minister, GOI, highlighting five issues of utmost importance which were causing grave concern to the victims of the Bhopal gas leak disaster: (1) payment of interim relief; (2) economic rehabilitation; (3) payment of final compensation; (4) medical relief and research; and (5) prosecution of the guilty. April 22, 1994: BGPSSS addressed letters to the Minister for Chemicals & Fertilizers, Minister for External Affairs and Minister for Home Affairs, GOI, regarding the inordinate delay in seeking the extradition of Warren Anderson. It was pointed out that a non-bailable warrant of arrest issued by the CJM, Bhopal, had been pending against the accused since 27/3/1992. August 16, 1996: A delegation of survivors, along with a representatives of central trade unions, women, students and youth organisations and others, meet the Union Minister for External Affairs, and submit a petition urging the Central Government to execute the order of the CJM, Bhopal, dated 27/3/1992, and seek the extradition of Warren Anderson from USA to India to stand trial. The Minister assured the delegation that he would do all he could to expedite the process. November 28, 1997: BGPSSS, BGIA and BGPMUS again plead before the CJM, Bhopal to direct the CBI and the Government of India to seek extradition of Warren Anderson and authorised representatives of UCC (USA) and UCE (Hong Kong) to face criminal trial in India. November 1999: Several individual victims of the Bhopal disaster and survivors organizations file a class action suit against Union Carbide and its former CEO, Warren Anderson, in federal court in New York, charging Carbide with violating international human rights law, environmental law, and international criminal law. February 28, 2001: 300 Bhopal survivors and 100 trade unionists and supporters besiege Dow Chemical’s Indian headquarters in Bombay. Dow’s offices are occupied for more than four hours. The protesters hung banners from the building that read: “Dow: You Now Have Union Carbide’s Blood on Your Hands”” and “Killer Carbide is Now Dow Chemical” and demanded a formal meeting with the Dow leadership in India. A memorandum was handed over demanding that Dow assume the ongoing moral and legal liability for the 1984 disaster. The group also demanded that Dow stop production and marketing of Dursban in India, which had been severely restricted in the U.S. due to public health considerations. January 9, 2002: Dow accepts Carbide’s liabilities in the U.S. and settles a Texas asbestos lawsuit originally filed against Union Carbide. Dow’s share price dives 23 percent to close at $26.83 on January 18. The plunge wipes out $7.16 billion in equity and puts Dow shares back where they were in October 2000. But still Dow refuses to take responsibility for UCC’s Indian liabilities. May 9, 2002: Survivors tour of U.S. International Campaign for Justice in Bhopal (ICJB) and Greenpeace members have an informal meeting with Mr. Michael Parker, Chief Executive Officer (CEO) of Dow Chemical, during a demonstration in front of the Dow Annual General Meeting in Midland, Michigan, U.S. Parker suggests that survivors’ compensation money be used to pay for the clean up of Carbide’s Bhopal factory site. June 29, 2002: In response to the CBI’s May 24th, 2002 proposal to lower criminal charges against Warren Anderson from culpable homicide to criminal negligence, representatives of three survivors groups launch an indefinite hunger strike in Delhi (in temperatures up to 47 degrees). A global relay hunger strike also announced. July 18, 2002: After the collapse of two of the hunger strikers and the CJM of Bhopal’s postponement of a ruling on the dilution of charges, the Delhi hunger strike ends. In the worldwide relay, over a thousand separate hunger strikers from India, USA, UK, France, Italy, China, South Africa and other countries take part. August 2000: Greenpeace sets up a computer center outside the Bhopal factory to allow survivors of the disaster to demand justice from Union Carbide. Thousands of survivors send emails to the company, which responded by closing its email server for two days and blocking all future messages on Bhopal. August 26, 2002: Diane Wilson chains herself to a 70 foot ethylene oxide tower at the Dow plant in Seadrift, Texas and unfurls a banner that reads “Dow, Responsible for Bhopal.” She is charged with criminal trespass. August 27, 2002: Rashida Bee speaks against corporate ‘greenwash’ at the World Summit on Sustainable Development, Johannesburg. August 28, 2002: ICJB representatives take action at a polluting Dow facility in South Africa during the Johannesburg Earth Summit. August 29, 2002: Following a lead from the UK’s Daily Mirror, Greenpeace finds Warren Anderson and visits him at luxury home in New York, U.S: he has been in hiding for over a decade. Greenpeace issues him an arrest warrant. September 2, 2002: The ICJB, along with the student community, do an action outside Dow India Headquarters in Bombay to coincide with the Ministerial meeting at WSSD. September 5, 2002: President of India visits Bhopal. In his speech at the Bhopal Memorial Hospital, where he was expected to speak for half an hour, he winds up in 3-4 minutes, saying he does not know enough about BMHT to say anything about their work. September 12, 2002: Diane Wilson and others sit on hunger strike for justice in Bhopal outside the UN building in NYC, where heads of State of both the USA and India addressed the UN general assembly. September 13, 2002: Diane Wilson and others protest outside Anderson’s house in Bridgehampton, Long Island. November 10, 2002: More than 400 pollution-impacted people in Cuddalore, including women wielding brooms, fisherfolk and farmers joined activists from the ICJB demanding justice for the survivors of the Union Carbide disaster. The march was led by veteran Bhopal activist and gas victim, Mrs. Champa Devi Shukla. November 11, 2002: About 60 people, including villagers, women activists, and workers, marched to the gates of Anabond Essex, a Dow joint venture in Pondicherry, to deliver brooms as a message to Dow. November 18, 2002: About two hundred children took over the heavily-contaminated solar-evaporation ponds. Signposts cautioning people about the toxic contaminants are put up, and a billboard in English, Hindi and Urdu is installed calling upon DOW to clean up the soil and water. Some people have been digging up soil from the area and using it to build their houses. Greenpeace activists from USA, UK, Australia, Netherlands, Thailand, Italy, Belgium, France, Brazil, Norway, and India participated. November 28, 2002: Dow posts an internal memo on its website stating the following: “But what we cannot and will not do – no matter where Greenpeace takes their protests and how much they seek to undermine Dow’s reputation with the general public – is accept responsibility for the Bhopal accident.” A few days later the author Dow CEO M. Parker is dumped. December 3, 2002: As thousands of survivors solemnly gather in a vigil in Bhopal on the 18th anniversary of the gas disaster, activists in the United States confront Dow CEO Michael Parker at his home in Midland, Michigan, as he entertains guests at a dinner party. Parker meets with the activists, and promises to release the composition of the gas, previously considered by the company as an off-limit trade secret. The information could help physicians who are trying to appropriately treat the 150,000 chronically ill gas-affected Bhopal survivors. The information is never released and soon after Parker is let go. December 13, 2002: Citing weak financial performance, Dow replaces CEO Michael Parker with Board Chair and former CEO William Stavropoulos, who was the mastermind behind ht takeover of Union Carbide. Parker was sacked supposedly only because of the “poor financial performance” or Dow – the downturn in Dow’s financial performance and stock value was parallel with its purchase of Union Carbide. December 18, 2002: After 16 years of struggle, the Bhopal Labour Court gives a decision that directs the State Government to appoint the women survivors of the BGPMSKS to the permanent posts of Junior Binder with effect from Apr 29, 1998. The Court also directed that the women be paid arrears due to them. The MP government decides to appeal the decision. December 19, 2002: Dow Chemical-India files a lawsuit in the Mumbai High Court against the survivors, demanding approximately US $10,000 in compensation for “loss of work” as a result of the survivors’ non-violent demonstration outside Dow’s gates. That is $10,000 compensation for a two hour peaceful protest where only one Dow employee briefly ventured out of the Mumbai corporate business park to meet the women protestors. January 2-4, 2003: Champa Devi Shukla and Satinath Sarangi of the BGIA take part in the Asian Social Forum. January 3, 2003: The State government files an appeal challenging the Dec 18, 2002 order of the Labour Court that directed that the jobs of gas affected stationery workers be regularized. January 16, 2003: As the World Social Forum began in Brazil, Greenpeace activists erected scaffolding in front of Dow Chemical’s Latin American headquarters in Sao Paulo with the message “Bhopal Corporate Crime” painted on the sides in Portuguese, Spanish and English. January 21, 2003: Greenpeace activists deliver 18 barrels of toxic waste collected from Bhopal, India to Dow Chemical’s European headquarters in Horgen, Switzerland, just as business and political leaders are gathering in Davos for the World Economic Forum. January 23, 2003: After many months where Bhopal supporters sent over 15,000 emails and thousands more postcards to Dow asking it to clean up Bhopal, Greenpeace organized a call in day to Dow’s ethics line. Hundreds of people called in and Dow’s response was the closure of phone lines to any questions on Bhopal. January 30, 2003: Greenpeace stages a protest at the Dow Chemical factory in Tsing Yi, Hong Kong. March 10, 2003: To highlight Dow’s attempts to silence survivors protests in India with a US $10,000 damages claim, Greenpeace launches an internet sit-in of Dow’s greenwashing website bhopal.com. True to form Dow refuses to drop the suit against peaceful protestors and instead attempts to evade the internet action with technical tricks. The protest brings down bhopal.com on Wednesday March 12th. March 18, 2003: The Michigan Student Assembly at the University of Michigan passes an historic resolution, calling on Dow to clean up Bhopal and calling on the University to refuse all of the company’s donations until it does. Since then, many others have passed resolutions. City proclamations and resolutions in San Francisco, Seattle, Boston, Berkeley and Cambridge have condemned Dow and called on them to address its Bhopal legacy and student organizations stopped Dow contributions on multiple campuses. April 11, 2003: Several members of Justice for Bhopal, a University of Michigan student group and member of the ICJB, quarantine the Dow Laboratory Building, which is largely funded by contributions from the Dow Chemical Company. May 8, 2003: At the Dow annual meeting in Midland, Michigan, Rasheeda, Champa and Satinath bring the disaster home to top executives of Dow Chemical. The activists are reluctantly granted a meeting with the Dow CEO. However the now familiar stonewalling and another lecture in corporate hand washing and PR is the only result of the short meeting. William Stavaropolos, Dow CEO, claims in a speech to the shareholders at the meeting that Dow-Carbide no longer faces any criminal cases in India. John Musser, Dow’s public relations spokesperson is later forced to admit that this claim is wrong. May 12, 2003: ICJB and US supporters demonstrate outside the Indian embassy in Washington D.C, demanding extradition of Anderson and indictment of Dow. The three hunger strikers end their personal fast by calling on supporters and justice campaigners around the world to take over and fast in relays from May until the 19th anniversary of the Bhopal gas disaster. February 24, 2004: Delegates from survivors’ groups met with the Governor of Madhya Pradesh and handed him a petition addressed to the Prime Minister. The petition, signed by 1020 children of gas affected people, calls upon the PM to issue directions for supply of piped drinking water to the communities affected by ground water contamination and for disbursal of balance of compensation funds among the victims. May 2005: On May 18, 2005 several hundred residents of the 18 communities gathered first outside and then inside the Directorate of Bhopal Gas Tragedy demanding clean drinking water. Several peaceful protestors were beaten up with sticks and 7 persons were charged under Sec. 332 and other sections of the IPC. January 2006: On January 21, 2006 well over a thousand residents of the communities affected by contaminated ground water sat outside the residence of the Minister of Bhopal Gas Tragedy Relief & Rehabilitation demanding clean drinking water. 9 persons were charged under Sec. 148 and other sections of the IPC. April 2006: 52 Bhopalis including survivors of the disaster, residents of the communities affected by contamination and activists marched for 37 days to cover 850 kilometeres from Bhopal to New Delhi. Supply of clean drinking water to the communities affected by ground water contamination was one of the prominent demands of the Padyatra. On April 17, following a seven day fast by Bhopalis, the Prime Minister met with a delegation of Bhopalis and among other assurances promised to ensure funds for clean water supply. As per the direction of the Prime Minister, a Coordination Committee on Bhopal (CCB) with bureaucrats from the central and state governments and representatives of Bhopali organizations was formed. An amount of Rs. 14. 85 Crores was sanctioned by the Prime Minister for supply of clean water to the communities affected by contamination of ground water. In June the amount was transferred to the state government. One of the principal tasks of the CCB was supervising the work of provision of clean drinking water to the 18 communities in the vicinity of the abandoned factory. Officials of the State government assure supply of water by the deadline of September 2008. 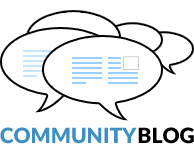 2007: Six activists including three residents of communities affected by groundwater contamination fasted for 19 days demanding that the State government provide clean water to residents of communities affected by groundwater contamination. The official representative of the Chief Minister conceded this and other demands. Deadline for completion of work shifted to November 2008. 55 Bhopalis marched on a second Padyatra with essentially the same set of demands including the demand of supply of clean drinking water in the 18 communities. On August 8, the Minister of Chemicals and Fertilizers conceded the demand for clean drinking water and other. In 2008, 55 Bhopalis marched again 500 miles from Bhopal to New Delhi, then held a four month sit in on the streets of Delhi and a hunger strike. As a result of this effort, Bhopal has received major international media attention and daily Indian coverage nearly every day for over four months. The campaign won the promise of a federal Empowered Commission on Bhopal to include survivor groups in decision-making bodies with the power to address the welfare needs of the survivors. After this major mobilization, the government finally began construction of a clean water pipeline into the affected communities; construction began in early 2009. April 18, 2010: Dow Live Earth greenwash event was overrun by protestors in 15 locations in 7 countries. Several sponsors worldwide cancelled events after finding out from Bhopal campaigners, Live Earth’s affiliation with Dow Chemical. May 2010: Bhopal survivors filed information requests regarding civil Nuclear Liability Bill en masse at the Prime Minister’s Office. June 2010: Demonstration at the office of the Madhya Pradesh Pollution Control Board on toxic injury of six workers at the MP Waste Management Facility at Pithampur near Indore. June 14, 2010: Bhopal activists in New York City deliver a copy of the arrest Warrant for Warren Anderson and the Union Carbide Corporation to their lawyers. June 24, 2010: Bhopal survivors rallied in the streets of Delhi against the proposal by the Group of Ministers on Bhopal. The Union Cabinet approved the measures. The US $280 million (Rs 1265.56 crore) plan does little to bring real justice or help to the thousands still suffering in Bhopal. July 26, 2010-August 18, 2010: More than 150 Bhopal survivors and people from water-affected areas began an indefinite dharna in Jantar Mantar, New Delhi that lasts through the parliamentary session. The agitation pressures the Central Government to revisit its recent decisions on issues of compensation, health care and rehabilitation, legal action against Union Carbide and Dow Chemical, and hazardous waste clean-up. 64 members of Parliament from 20 different political parties sign a letter in support of Bhopali protestors. October 10, 2010: Setting up of National Institute for Research on Environmental Health (NIREH) in Bhopal in response to demands for resumption of medical research by survivors organizations from 2006. March 2011: Dow Chemical was asked to leave the premises by the organizers of Aquatech, a trade fair of water related technologies, after protest by Bhopal survivors at the Mumbai venue. May 2011: The shoddy report on contamination of soil and ground water by two government agencies, NEERI and NGRI was scrapped by the Peer Review Committee following critiques by survivors’ organizations. June 2011: One hundred Bhopali children demonstrated in front of the Prime Minister’s office demanding medical care, rehabilitation and poison-free environment. August 2011: 100 women survivors gained access to the Chief Minister posing as his part members and tied Rakhi bracelets on the Chief Minister’s wrist reminding him of his constitutional duty to protect their right to adequate compensation. .
October 2011: Shopkeepers downed shutters and workers struck work responding to Bhopal survivors’ call for Bhopal Bandh to demand adequate additional compensation. October 2011: The Government of India prohibited purchase of products of Dow Agrosciences by Government agencies for 5 years. We raised the demand for blacklisting Dow Agro in 2006. December 2011: More than 30,000 survivors stopped movement of all trains passing through Bhopal for 11 hours. The blockade was lifted when the Chief Minister conceded to demands of adequate compensation. 2012-2014: Obtained sensitive documents under RTI from the Prime Minister’s Office and Ministry of Chemicals showing the involvement of prominent persons in causing injustice in Bhopal. January 2012: 18 day sit in demanding withdrawal of criminal cases against 2000 survivors falsely charged with violence during rail roko agitation. February 2012: Dow Chemical decided not to have its logo on the polymer wrap around the London Olympics stadium following protests in Bhopal, London and other cities by survivors and their supporters. June 27, 2012: Die-in outside the office of Indian Olympic Association asking them to oppose Dow Chemical as a sponsor. Of the London Olympics Similar protests were held in London, Berkeley and Boston, USA and St. Catharine’s, Canada. July 26 2012: Organized “Bhopal Special Olympics” with disabled children of gas and contaminated water exposed parents to oppose Dow Chemical’s sponsoring London Olympics 2012. August 9, 2012: Supreme Court granted powers to the Monitoring Committee and gave specific directions to official agencies towards improving medical care and research in response to submissions by petitioner organizations. September 2012: Solidarity protest in support of the struggle against Kudankulam Nuclear Power Plant. April 9, 2013: Demonstration at the office of Dow Chemical International Private Ltd in Mumbai demanding clean up of factory site and appearance of Union Carbide in court. August 2013: 2000 survivors marched to the Chief Minister’s residence demanding that he fulfill his promise of adequate additional compensation. November 2013: Campaign to publicise NOTA (None of the above) option of rejecting all candidates in elections. February 17, 2014: Demonstration at the Directorate of Bhopal Gas Tragedy Relief & Rehabilitation demanding free medical care and rehabilitation. April 28, 2014: Torch rally on International Workers Memorial Day. August 2014: Work of providing clean water to 10 thousand families through pipelines completed. Organizations fought a long and arduous battle from 2006 for these residents near the abandoned factory who were forced to drink local groundwater contaminated with toxic chemicals. August 4, 2014: The Bhopal District Court summoned Dow Chemical to make its subsidiary Union Carbide appear in the criminal case in response to application by supporter organization in 2004. September 2014: Dow Chemical won the award of the dirtiest corporation in a campaign being run by AdBusters on Dirty Dozen. Four of the most prestigious universities in India, the Indian Institutes of Technology, rejected money from Dow and barred Dow from recruiting at over half of the IITs until it faces its Bhopal liabilities. IIT Delhi and Kanpur publicly dropped Dow sponsorship for events. 280 Indian legal experts declared that under Indian law, Dow should be held liable for the ongoing contamination in Bhopal. Both the Chemical and Law Ministries of the Indian government are now siding with the Bhopal survivors. A campaign was able to push the Indian government to distribute the remaining settlement funds from 1989, which it was refusing to disburse to the 500,000 eligible people. Although a pathetic sum—about $500 per person—the government had tried to divert these remaining funds.